One of Vietnam’s star attractions, mountainous and forested Phu Quoc is a splendid tropical getaway set with beautiful white-sand beaches and quaint fishing villages. Adventure comes in many forms here – from motorbiking the empty dirt roads circling the island to sea kayaking its quiet inlets, scuba diving the coral reefs or simply having a bang-up seafood meal followed by a cocktail on the beach. Once a sleepy, backpackers’ retreat, Phu Quoc has ramped up tourism significantly, and visitors can now choose between five-star resorts and rustic family-run bungalows. 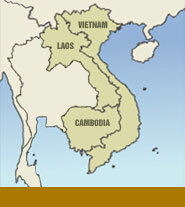 Phu Quoc is not really part of the Mekong Delta and doesn’t share the delta’s extraordinary ability to produce rice. The most valuable crop is black pepper, but the islanders here have traditionally earned their living from the sea. 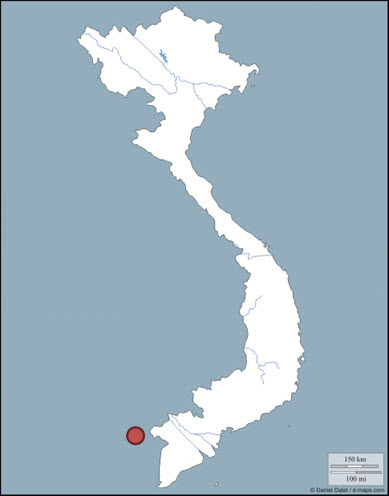 Phu Quoc is also famous in Vietnam for its production of high-quality fish sauce (nuoc mam). Despite the impending development (of a new international airport, a golf course and a casino), much of this island is still protected since becoming a national park in 2001. Phu Quoc National Park covers close to 70% of the island, an area of 31, 422 hectares.